In news that was widely hoped for if not outright assumed, Netflix has confirmed that Millie Bobby Brown will return as the scene-stealing psychic Eleven in the second season of Stranger Things. The confirmation comes via sources speaking to TVLine and should set the hopeful hearts of Stranger Things fans at ease. Eleven seemed to have met her final fight when she heroically sacrificed herself to defend her friends from the vicious creature called the Demogorgon. However, the actions of Police Chief Jim Hopper in the Stranger Things Season 1 finale left some question. Executive producers Matt and Ross Duffer only further obscured the issue by saying that Eleven’s return for Season 2 was “up in the air” in interviews. Casting news furthered the issue, with American Odyssey’s Sadie Sink joining Stranger Things Season 2 as Max, a young, confident girl whose looks, behavior and goals are more typically masculine for the era of the series. Some assumed Max was meant to be Stranger Things Season 2’s replacement for Eleven, but that now seems not to be the case. While fans are still waiting for the new season of Stranger Things to arrive on Netflix, the streaming service did provide them with a fun-sized bit of Stranger Things content for Halloween. Netflix put out a Stranger Things viral video featuring a newscaster reporting on the strange goings on in Hawkins, Indiana, including Barb's disappearance and Eleven stealing Eggos from a grocery store. Also, in a bit of inevitable licensing, Funko announced a new line of Pop! Vinyl Stranger Things figures, including multiple versions of Eleven, Barb, Will, and the Demogorgon, as well as Lucas, Dustin, and Mike. Stranger Things Season 2 will be a nine-episode season taking place one year after the events of Stranger Things Season 1, in the fall of 1984. The new season is said to expand on the mythology behind Will Byers’ disappearance in the first season of Stranger Things. Noah Schnapp (Will) and Joe Keery have also been promoted to series regulars in Season 2. 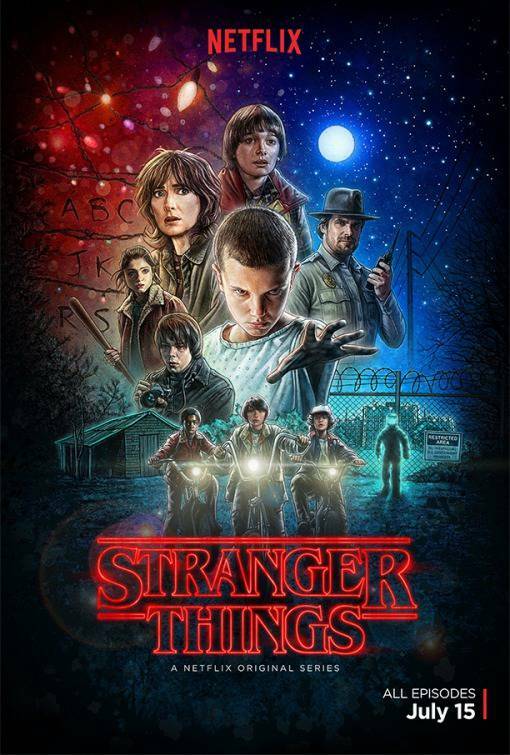 Stranger Things was created by The Duffer Bros., Matt and Ross Duffer, who wrote and directed the series. Shawn Levy serves as executive producer. Stranger Things star Winona Ryder, David Harbour, Finn Wolfhard, Millie Bobby Brown, Gaten Matarazzo, Caleb McLaughlin, Natalia Dyer, Charlie Heaton, Cara Buono, Matthew Modine, Noah Schnapp, Joe Keery, Sadie Sink, and Dacre Montgomery. Stranger Things Season 2 will be a nine-episode season, and will debut on Netflix in 2017.